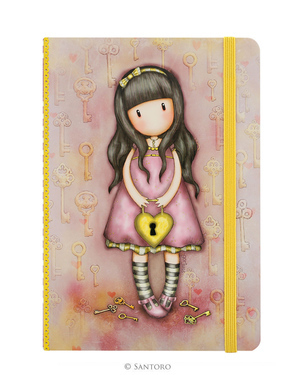 Hardcover Notebook The front is finished in a quality print which displays the gorjuss artwork. Hardcover Notebook 192 pages of 100gsm ruled paper. Hardcover Notebook Each notebook comes with a elastic closure, ribbon bookmark and internal storage pocket.